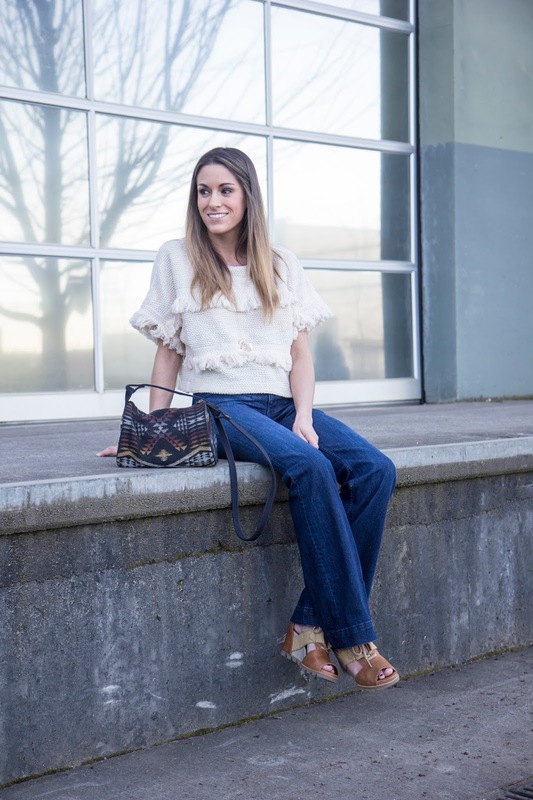 I think the last time I wore flared jeans was 2001 :) However, we all know the 70's trend is back...especially since festival season is here. 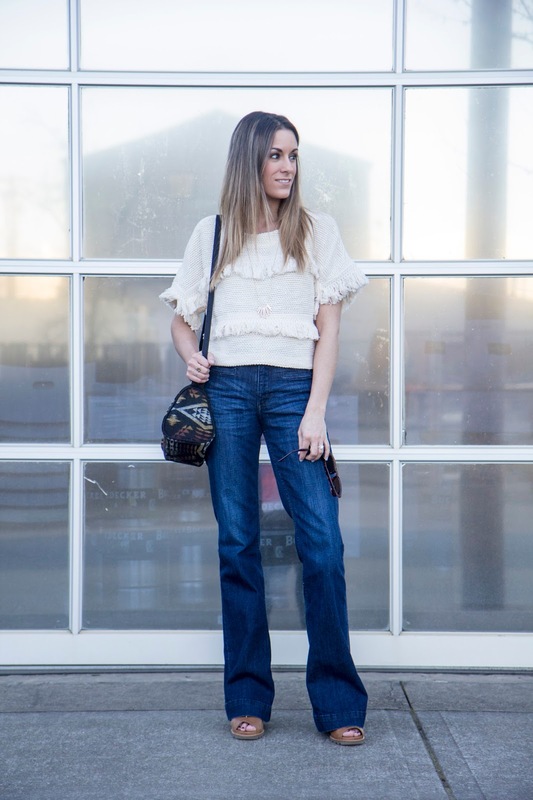 I love being able to switch up my usual look of skinny jeans or tights and swap in a pair of comfy wide leg pants. These SOREL Joanie Lace Wedges are also PREFECT and add just enough height so you're not walking all over your pants! (I'm 5'4", and denim length can sometimes be an issue.) I love this top, but for whatever reason I've only been able to find it in-store at F21. If you sign up for LIKEtoKNOW.it and like this photo on Instagram, I've made sure to link a few that are similar. Don't forget if you want a free month of designer sunglasses like the ones you see here, sent right to your door, sign up at ditto.com and use the code TORILESIKAR at checkout!